There are more than 300 ladder-related deaths and over 130,000 emergency room visits related to ladders each year, as well as 2,000 ladder-related injuries every day. 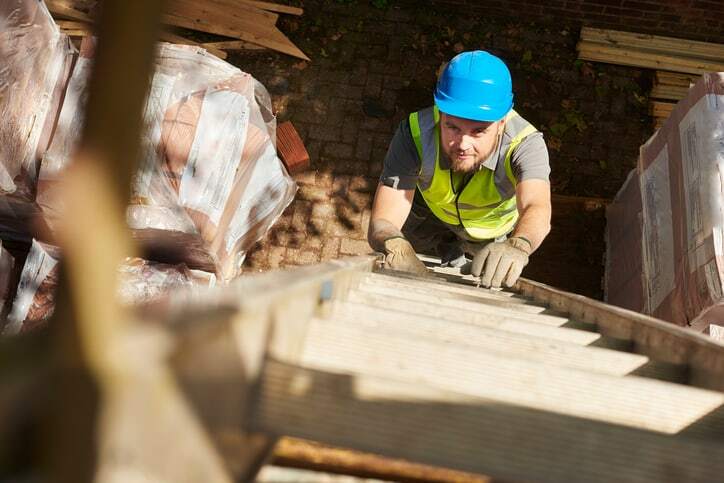 Improper ladder use has serious implications—it’s time to get serious about safety. Make ladder safety a priority this year by participating in the American Ladder Institute (ALI)’s National Ladder Safety Month this March to help broaden ladder safety awareness throughout all aspects of day-to-day life—in your organization, community, and home. Ladder safety is something that everyone should get behind because ladders are used for a number of everyday tasks. Whether you’re changing a lightbulb, doing some outdoor spring cleaning, or grabbing something from the top shelf of your kitchen cabinet, you could be at risk of injury without a proper understanding of safe ladder practices. National Ladder Safety Month provides access to resources like free ladder safety training videos, safety posters, shareable graphics, and more to help anyone take ladder safety into his or her own hands. View and share this video that provides a sneak peek of National Ladder Safety Month’s segment on The Lifestyle List, which airs March 10. Then, download the Ladder Safety Checklist and display it in your home and workspace. Help saves lives in 2018. How will you participate in National Ladder Safety this March? ALI is the ANSI-approved developer of safety standards for the ladder industry and serves as the A14 Secretariat. Learn more about the different standards, including the recently revised A14.2 and A14.5 standards.